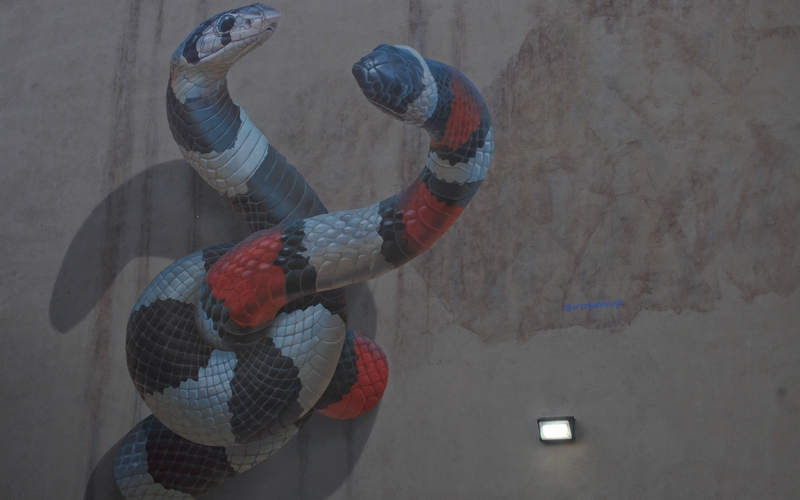 The snakes emerged from just the right sized round holes in the wall and the coiled around each other. 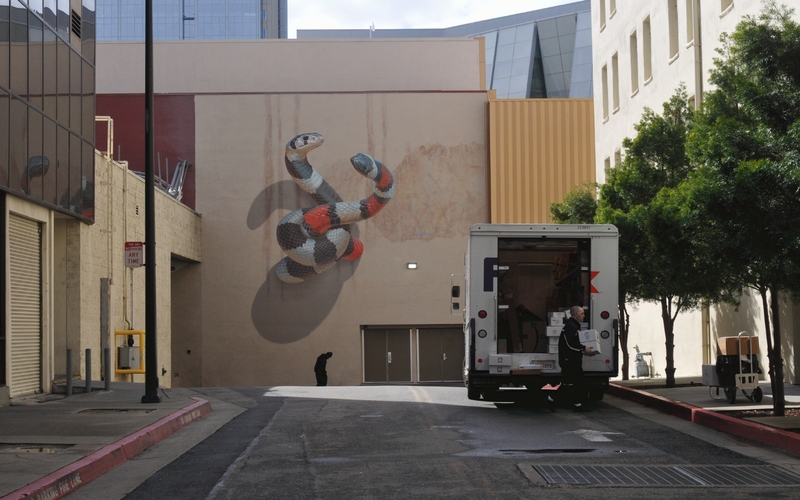 A closer view of the two California king snakes emerging out from the wall. 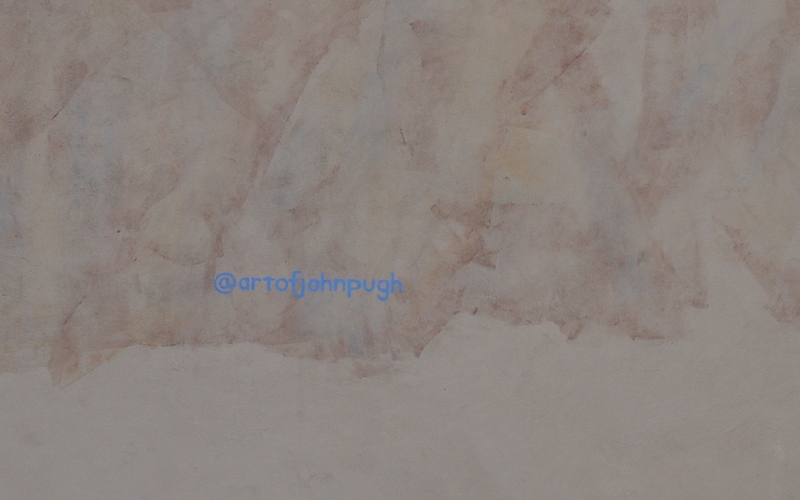 The artist signed the mural "@artofjohnpugh." 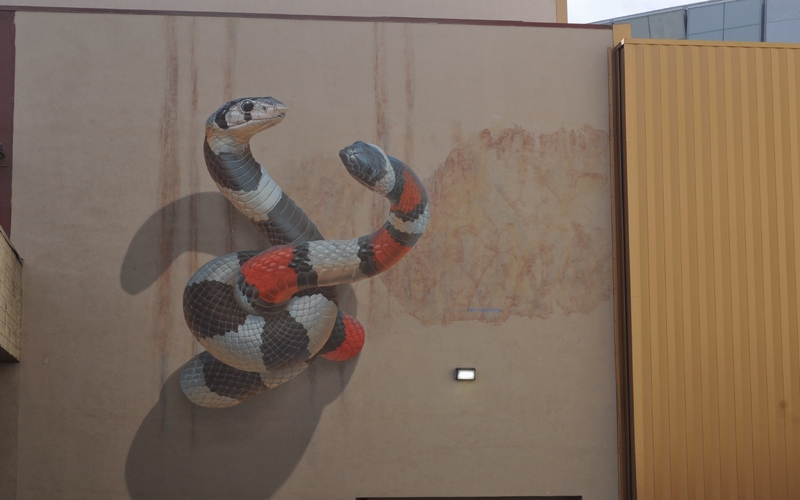 At the end of 6th Street, off J Street, John Pugh had painted a 3D mural of two California king snakes coiled and rising off the wall of a building. 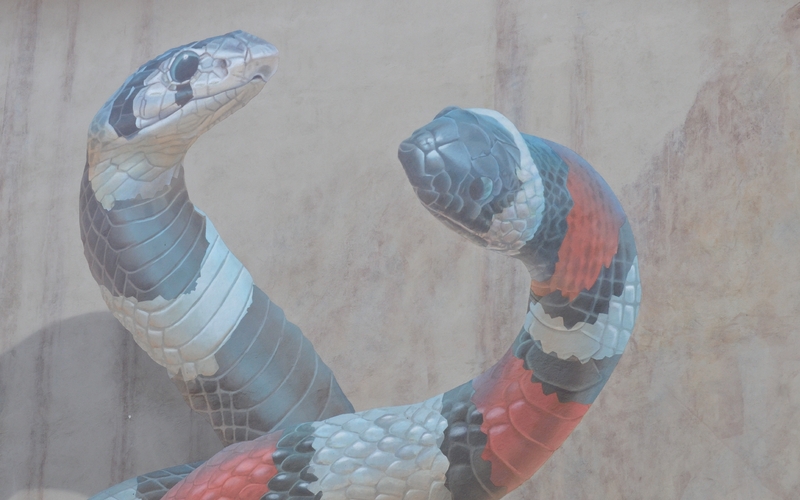 The two snakes looked at each other with snake-like cool disinterest. 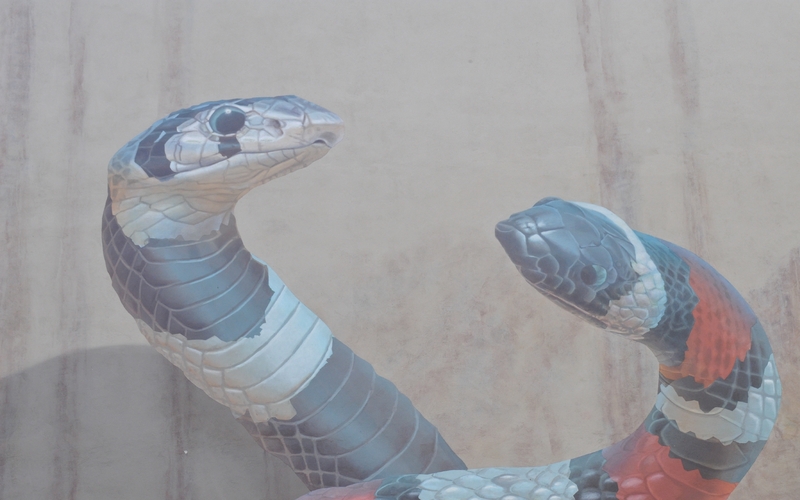 A closer shot of the heads of the snakes. 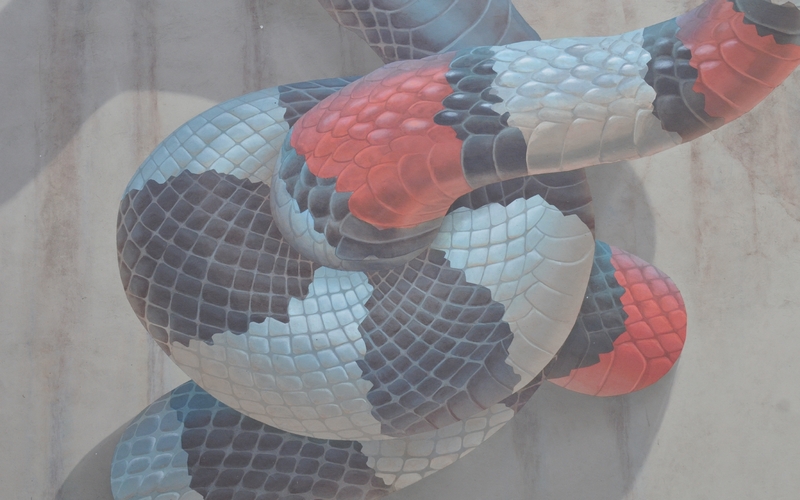 Notice the incredibly fine detail in the snake faces and skin. A closer shot of the two snake bodies. Note how the shadows painted on the wall help create the 3D effect.